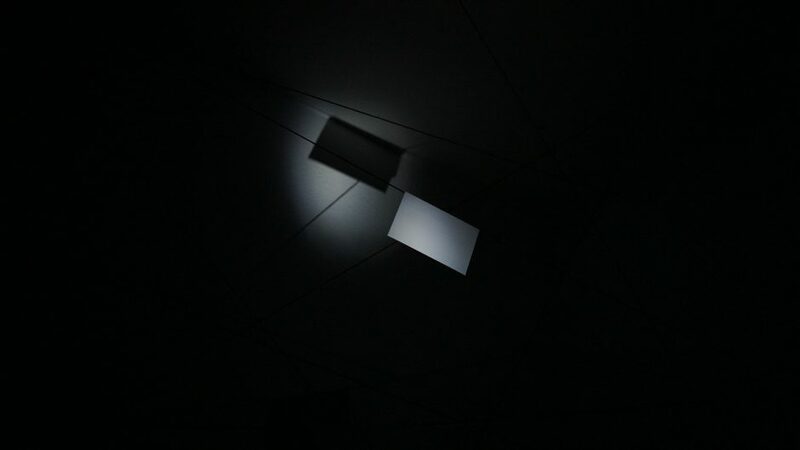 "Sending & Receiving" is designed for dark spaces maneuvered uniquely by each visitor with light. Illuminating a web filling the space that is hung with envelopes, visitors discover each envelope contains a light activated sound module that plays a recording of an individual posting from the local version of the Craigslist message board Missed Connections. Each installation is unique and produced using 20 audio recordings from distinct postings made locally. This means no two installations are ever the same. Each of these postings is written by someone seeking to find someone else. Without any other identifying information besides what someone was perhaps wearing or driving, the messages are sent in and attempt is made to make a connection. With their flashlight, each visitor to this installation reveals the web and activates messages stored on sound modules. By being present in this space, the visitor physically receives and connects missed connections.